Slimming Surgeries: Benefits vs. Dangers. Should you go for it? Slimming Surgeries: Are they Really Dangerous? Within the era changes in the world of beauty comes the booming of Slimming Surgeries! Whom among us have had the exact weight over the years? With all the different seasons, festivities and life events, our weight tends to keep fluctuating. These weight changes can be as simple as a couple of kilos or as extreme as dozens of pounds. Diets were the trends for some time. 2- Malabsorptive/Restrictive: in addition to restricting the size of the stomach, parts of your digestive system will be either removed or restrictive leading to a malabsorption of calories; example: gastric bypass. 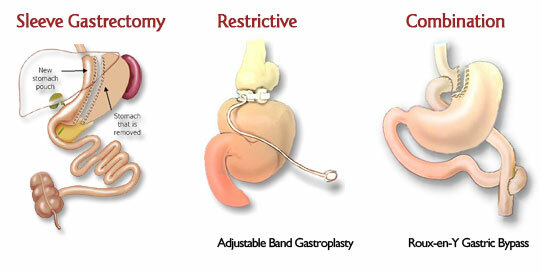 Nowadays, gastric bypass is the most common kind of slimming surgery. Do the Benefits outweigh the side effects and complications? Here is what you need to know about slimming surgeries. 1- Quick Weight loss: When someone has a big load of unwanted kilos and very high abdominal fat, he is unhealthy. Following a proper diet with a proper exercising plan can help. Massages, yoga and other alternative methods can help as well. But, if the person has no intention of doing any kind of effort, surgery will be the first pop-up option for him. In my opinion, a proper behavioral adjustment can help this patient skip surgery and lose the weight the “natural” way. This will need support from all his entourage: family & friends! Unless the obese person has other chronic conditions that have gotten worse due to the extra weight, then there is no need for surgery! 2-Healthier Status: These surgeries are capable of reshaping an obese person’s life into a healthy one. A study showed that type-2 diabetes can be improved and even resolved in a large portion of individuals who underwent slimming surgeries. Studies showed that the level or correction depends on how long the person has had diabetes. For example, if diabetic for the past 12 years, then his situation will be better; but if he had it for just a couple of years, then it might be resolved. 2- Post-operative infections: These can be as common as in 5-10% of the people undergoing slimming surgeries due to infections of the wound. 3- Intestinal obstruction: the intestine will get blocked partially or fully. This can be resolved by a tube treatment or a surgery. 4- Dumping syndrome: this means that the stomach is emptying very quickly without digesting the food. This will lead to nausea and vomiting. 9- Malnutrition: after slimming surgeries, a patient has to follow a specific diet. Unfortunately, in the Middle East area, patients are satisfied from the fact that they can no longer eat. So, eventually, they end up having a dangerously low caloric diet leading to severe malnutrition and serious diseases on the long run. 10- Perioperative Mortality: A study followed up with 22,094 people who did gastric bypass. It was found that 1 in 200 people died during the first 30 days. So, as a conclusion, one can easily understand the risks associated with slimming surgeries. Should it be an option for every overweight person or should the surgeon be strictly selective of his patients?